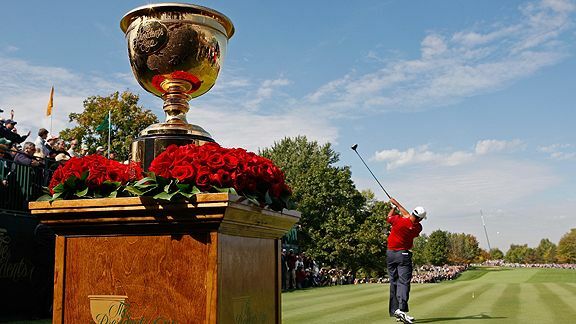 Presidents Cup is a golf competition organized by PGA and it is traditionally led by US presidents. This year, first time in Asia, Korea will host the game and Korean President will be the chief of the game. This game is US team vs International team so, we will meet top players from all around the world. All matches are worth one point each, for a total of 34 points. There are no playoffs for Foursomes or Four-ball, with each side receiving a half point if the match is tied after 18 holes. Singles matches tied after 18 holes will go to extra holes until a team winner is determined. In a change inspired by the events of The Presidents Cup 2003, if the match is deadlocked at the end of Singles play, the competition will be deemed a tie and the teams will share The Presidents Cup. The top 10 U.S. players who earn the most official FedExCup points, beginning with the 2013 BMW Championship through the 2015 Deutsche Bank Championship, with points earned in 2015 doubled. The top 10 international players (excluding those eligible for the European Ryder Cup team) from the Official World Golf Ranking as the conclusion of the 2015 Deutsche Bank Championship. 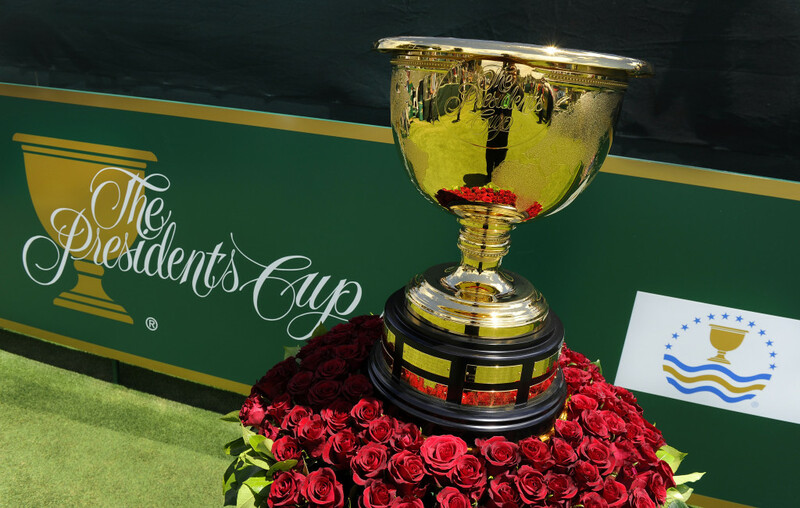 Created by Tiffany & Company, The Presidents Cup trophy weighs a total of 28 pounds. The trophy is spun by a spinner from five sterling silver circles into five different shapes. The spun components then are put together by a silversmith to create a cup. The smith runs a roller die to create the beaded embellishment that goes around the cup and the foot of the trophy. The oval logo is etched and applied on the cup. Labor dedicated to creating the trophy totaled 80 hours (spinning, smithing, finishing). The entire trophy is vermeil in 24-carat gold, and the original trophy is housed at the World Golf Hall of Fame in St. Augustine, Florida.